Who: American author Paula McLain shot to international stardom with her bestselling historical fiction, The Paris Wife, which is based on Ernest Hemingway’s marriage to his first wife Hadley Richardson during their Paris years. Written from Hadley’s perspective, the novel has since been published in 34 languages. Paula is the recipient of fellowships from Yaddo, The MacDowell Colony, the Cleveland Arts Prize, the Ohio Arts Council and the National Endowment for the Arts. She has also written two collections of poetry and a memoir, Like Family, Growing up in Other People’s Houses. Her latest novel Love and Ruin revisits Hemingway. This time, the story is focused on his relationship with his third wife, Martha Gellhorn who is considered to be one of the 20th century’s greatest war correspondents. What: Martha Gellhorn is an ambitious young woman with dreams of making a name for herself with her writing. A chance meeting with Ernest Hemingway in 1936 at a bar in Key West, Florida seems fated. The following year they both take off to Madrid to report on the atrocities of the Spanish Civil War. Captivated by Ernest’s larger-than-life personality — Hemingway was a man already on his way to becoming a legend — Martha revels in his attention and falls in love with him. Their shared passion for writing draws them to each other, but ironically would also be the thing that drives a wedge into their relationship. The cracks start to show when Ernest publishes the biggest literary success of his career, For Whom the Bell Tolls. Martha is confronted with having to surrender to the confining demands of being a famous man’s wife or risk losing Ernest by forging a path as her own woman and writer. Why: Martha Gellhorn is undeniably among the most interesting characters of the 20th century. She is among the first female war correspondents and enjoyed a long and fruitful career, retiring only when her eyesight started failing in her 80s. 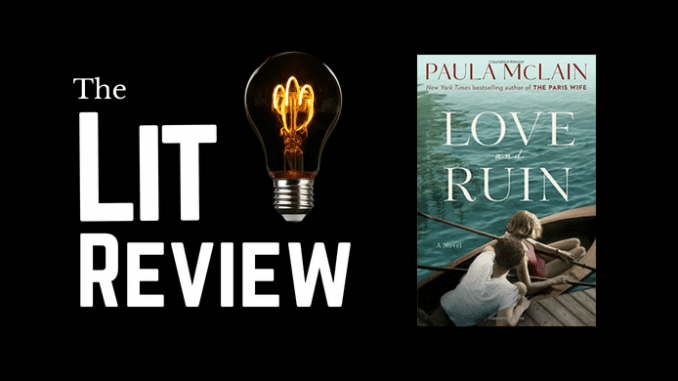 She was bold, tenacious and fiercely independent, and it is from her perspective that author Paula McLain writes this story. As a former journalist myself, I enjoyed McLain’s retelling of Martha’s journalistic exploits in Spain, Finland, China and on D-Day. It is obvious that McLain has done her research. What I didn’t find particularly compelling was the story of their doomed union. It’s one we’ve seen played out time and again — an older man taking a professional interest at first in a young, talented woman only to then seduce and bed her. Ernest is a scoundrel, there’s no question about it: he was still married to his second wife when courting Martha, but in his defence, his advances were met with not much resistance. I have no sympathies for either of them, to be honest. Martha’s ambition and spirit excites Ernest initially but would ultimately be a source of resentment for him as he begrudges her for not being the dutiful, stay-at-home wife. As much as she loved Ernest, Martha’s desire to be her own woman and to be defined by something other than “a footnote in someone else’s life” was equally important. In the end, something had to give. In masterful prose, McLain paints a portrait of their ill-fated relationship — from lust, rust to dust — with depth and sensitivity. We hear also from Ernest — McLain incorporates interludes written from his perspective in the form of monologues that reveal his hopes, fears and vulnerabilities. Special thanks to Times Distribution for an advance reading copy of the book.